With Parrelli Optical, finding high-quality contact lenses in the Topsfield, MA area couldn’t be easier. Our team of highly skilled professionals can work with your existing prescription or perform an eye exam to get you a new one. From there, you can take your pick from an incredible assortment of options. While contact lenses don’t affect your appearance like eyeglasses, they have various features that are designed to address specific needs. How can you tell which option is right for you? The experts at Parrelli Optical can help! At Parrelli Optical, we know how confusing it can often be to find the right contact lenses. They’re going to be placed in your eyes, so you’re going to want to get the right ones. 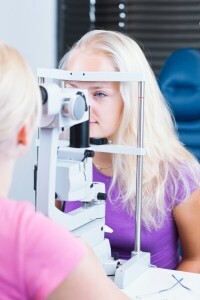 With a thorough eye exam and assistance in selecting the appropriate contacts, you can be sure that they will deliver the clear vision, improved depth perception and enhanced peripheral vision that they should. • Thorough Eye Exams – If you need an eye exam, you’ll appreciate the thoroughness that is employed by our independent optometrists. • Competitive Prices – We know that cost is a concern to you, and you can breathe easy when you buy your contact lenses from Parrelli Optical. We’re committed to offering the most competitive prices around. • Huge Selection – Parrelli Optical has all of today’s best contact lens designs, including single-vision contact lenses, bifocal contact lenses, soft contact lenses, gas permeable contact lenses and many others. You’re sure to love life without glasses, but the first step is finding the right contact lenses. You’ll be in good hands at Parrelli Optical. Our team won’t be satisfied until you are. For top-quality contact lenses in the Topsfield, MA area, you can’t beat Parrelli Optical.